New rules in Germany have made it possible for consumers to file a class action lawsuit against carmaker VW, bringing attention back to the emissions scandal, which first began in 2015. The first US-style class action lawsuit has been filed in Germany by consumer federation VZBV, thanks to a new law passed yesterday that allows consumers to take legal action as a collective rather than having to make a case individually. Seeking justice for consumers, VZBV are hoping to win damages for car owners affected by ‘dieselgate’ by establishing whether their vehicles’ engines had been intentionally tampered with in order to report reduced emissions. 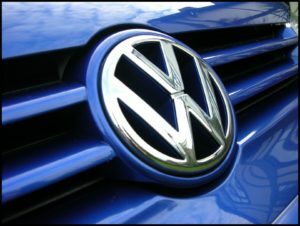 Financial penalties concerning the German automotive company’s actions have been steadily mounting. In North America, the total amount paid in relation to damages has reached $25bn, including a $2.8bn fine. Meanwhile public prosecutors in Germany have fined VW €1bn for its criminal actions in the scandal, whilst in the UK, a group of 10,000 VW owners filed a class action lawsuit in January 2017, seeking a £30m settlement. According to Bloomberg, VW shares jumped this week despite a hefty loss in operating profit reported in their Q3 earnings. An 18.6% decline was a blow to the carmaker’s bottom line as a result of weaker vehicle sales and the regulatory impact of tighter emissions testing. However, these figures were higher than investor expectations, causing a 5.86 rise in share price on the morning results were posted. Allen & Overy IP lawyers Daniel Lim and Katie Coltart will both join Kirkland & Ellis as partners, bringing with them associates Jin Ooi and Steven Baldwin.